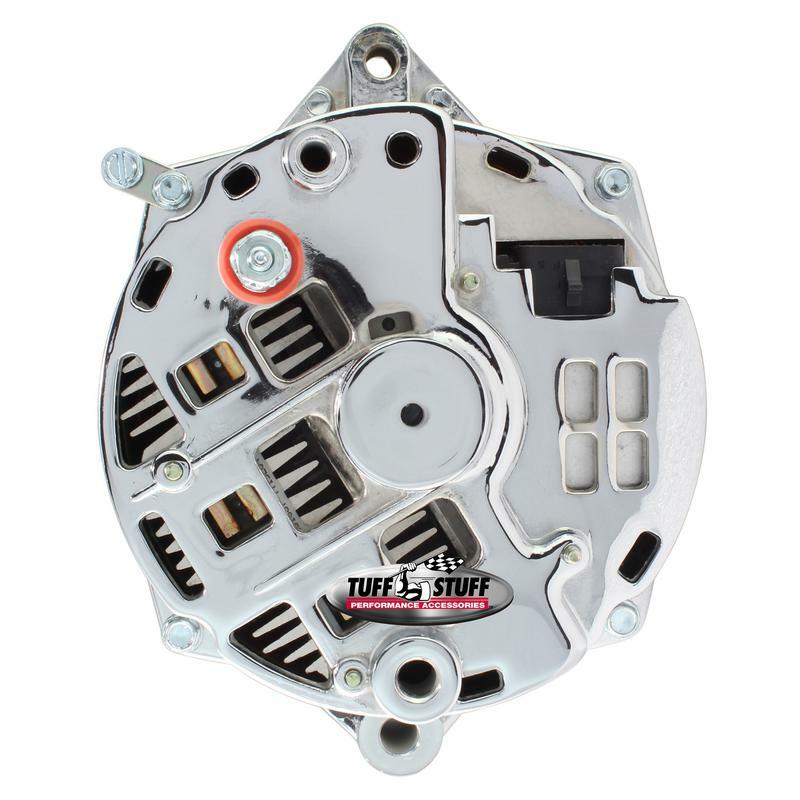 All Tuff Stuff alternators are hand built in Cleveland, Ohio and are tested to meet or exceed OEM specifications. All Tuff Stuff alternators are made from 100 percent new components and carry a one year limited warranty. 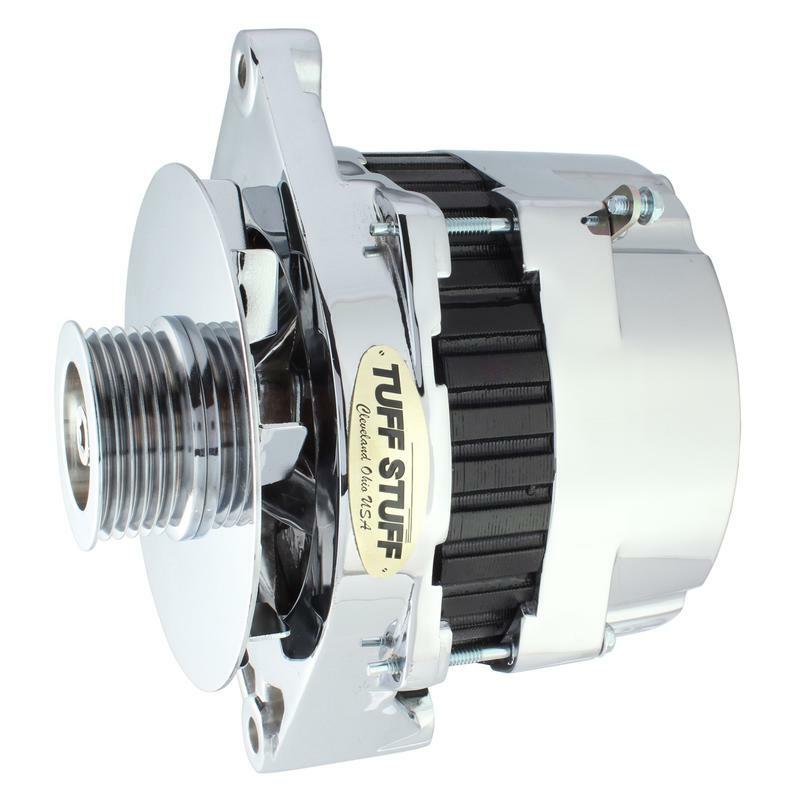 Tuff Stuff has alternator applications for virtually all muscle cars, hot rods, customs and light trucks in just about every finish imaginable. Many enthusiasts prefer our clean, simple 1-wire alternator option which features a low idle cut-in internal regulator and provides plenty of charging at low RPMs. Available in chrome plated, polished aluminum, powder coated and plain as cast finishes. All alternators are for 12 volt, negative ground systems, except where noted.